Civil forfeiture is a process where a court transfers ownership of property to the federal, state, or local government. It is a civil action the government brings against the property itself, and not against the owner of the property. Forfeiture is independent of any criminal proceedings, and is not a form of punishment. While it is generally used for enforcement of drug laws, civil forfeiture may apply to all types of property, such as real property, vehicles, equipment, and accessories. What process does the government use to take property? Taking property is a two-step process. In the first step, the government actually seizes the property in question. In the second step, the government brings a case showing it has a reason to keep the property. These two parts will be discussed in the sections to follow. At both the federal and state levels, the government can seize property. The Federal Government can seize property under 18 U.S.C. § 983. The focus of this article, though, is not on federal law but on the Maryland law. 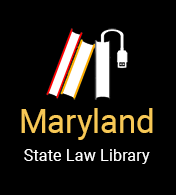 In Maryland, forfeiture is found in Titles 12 and 13 of the Maryland Code of Criminal Procedure. Title 12 sets forth forfeiture law in drug related crimes, while Title 13 applies in non-drug related crimes. The focus of this article will be on Title 12. What property can the Government seek forfeiture for, in drug-related cases? Real Property (such as a house or land). Does the government need permission from the court before it takes my property? Probable cause exists to believe that the property has been or is intended to be used illegally. Which of my stuff did they take, and where is it being kept? Who can I talk to? Within 30 days after seizing property, the authorities who seized the property are required by law to send information about seized property to the owner, if they know who that is. The name and contact information of an individual or office that can provide further information, including how the property may be returned to the owner. The next section discusses how the Government begins a forfeiture proceeding, and what rights and remedies the owner of the property has. Civil forfeiture is a civil action that the government brings against the seized property itself, not against the owner of the property. The possible release of the property. When can a forfeiture proceeding occur? Law enforcement officers believe that the property is directly or indirectly related to drugs, weapons, or money stemming from those activities. What if the criminal charges are dropped? The government may be able to win a forfeiture case, and keep the property that it has seized, even if it does not convict the property owner of a crime. If the seizure DOES relate to drug activity, the government can only bring a forfeiture case if the owner of the property is charged with a violation of drug law. If the owner is not charged within 90 days, the seized property must be returned immediately to its owner. Whether or not the seizure relates to drug activity, the government does not have to convict you of a crime in order to bring a forfeiture case. Even in a drug-related case, where the government has to charge you with a violation of a drug law within 90 days, the charges can be dismissed, or you can be found not guilty, and seizure proceedings can still occur. To convict a person of a crime, the government must prove “beyond a reasonable doubt” that the person committed the crime. However, for the government to win a forfeiture case to keep seized property, it only needs to prove that the property was probably (more likely than not) involved in a crime. How does the government ask for forfeiture? The party who seized the property will file a complaint in the circuit court seeking forfeiture of the property. This means the government is asking the court to keep the property once it has seized it. How long does the government have to file this complaint? This filing must be completed 90 days after the seizure or 1 year after the final disposition of the criminal charge, which led to the forfeiture. For motor vehicles, the complaint must be filed within 45 days after the vehicle has been seized. Does this happen with all seized property related to drugs? No. Money has a different set of rules, which is discussed later in the section. What does the complaint contain? The complaint will have the details of the seizure, what was seized, and those who are affected by the seizure. How will I hear about the complaint? This complaint, once filed with the court, must be served on the owner of the property or any interested party within 20 days after filing. If a reasonable effort has been made to serve the owner of the property and the owner cannot be found, the notice of service is posted at the courthouse. The complaint is also posted at the courthouse. This is called “notice.” Notice is for the benefit of the property owner. It ensures that the owner can have a reasonable amount of time to prepare a defense against the government’s seizure. Where the owner may file a response, and whom to contact for more information. Where will I find this notice? A notice will be posted within 20 days of a complaint being filed on the courthouse door or on a bulletin board near the door. If the property being seized is real property, then a notice will be placed on the land in a conspicuous place, and the notice will be published at least once a week for three consecutive weeks in a newspaper of general circulation in the county where the action is pending. What do I need to do after I have been served the complaint? There are two options. First, the owner could do nothing. This means the government will be allowed to keep the property. Second, the owner can file an “Answer to the Complaint.” This allows the owner of the property to contest the complaint and state why the government should not be able to keep the property. If I file an answer to the complaint, what needs to be in it? An answer to the complaint must comply with all the normal Maryland Rules for answers. Additionally, the response must state the owner’s interest or right to the property and how they got those rights. The answer must also request relief and a hearing. This answer must be filed with the court where the complaint was filed within 30 days from the date of service. What happens once the answer is filed? If the answer has been filed on time, then the court will schedule a hearing date. This hearing date will be scheduled either within 60 days of the posted notice at the courthouse or land, or the final publication of notice in the newspaper, whichever comes later. And if the answer is not filed within 30 days? If the owner or person with the property interest does not file an answer within 30 days, the court may order forfeiture of the property. A forfeiture hearing takes place in the court where the complaint was filed. If the seized property is real property, the proceedings may be brought where the where the criminal charges are pending, where the owner resides, or where the property is located. If the proceedings are brought outside the jurisdiction where the real property is located, then notice of the proceedings must also be filed where the property is located. The notice must then include the name and address of the owner of the real property, a description of the property, and description of the reasons for filing the forfeiture proceedings and notice of upcoming case. Once a hearing on the forfeited assets has been completed, if the court finds that the property should not be forfeited, the property will be released back to its original owner. However, if the court determines that the seized property should remain forfeited then the authorities that initially seized the property may retain it. Property will generally remain forfeited if it is found by the court to be directly or indirectly related to illegal drugs (e.g. a home or car purchased with the proceeds from drug sales). What happens to my property when it is forfeited? If the property is forfeited, then the government may use it for official use, transfer it to another party to be destroyed or disposed, or sell it, as long as it is not harmful to the public and the law does not require its destruction. The proceeds of any sale must be used first to pay all expenses related to the forfeiture, including seizure, costs associated with storing the property, advertising and court costs. If there is any money left over from a sale, then that money will go to either the General Fund of the State, to the political subdivision that seized the property, or to the State law enforcement unit that seized it. What are the rules regarding seized money? In order to apply for drug-related money to be forfeited the Attorney General or another appropriate financial authority, (such as the director of finance of Baltimore City, a county treasurer or other county finance officer, or a municipal treasurer), must file a complaint and an affidavit in the District Court or the Circuit Court in the county where the money was seized. The complaint and affidavit must support the relationship of the money to drugs. Generally, when more than $300 is seized in relation to drugs, a criminal proceeding about the drugs will take place. Once there is a final judgment in the criminal proceeding, the government must request a hearing on the drug related money within 90 days. If the government does not bring drug charges within 90 days, money seized in relation to drugs is immediately and automatically returned to the owner. What happens if no proceeding is filed for my money? If no proceeding is filed for within 90 days, then the seized money will be returned to the owner upon the owner’s request. If the owner does not request the money within 1 year of the final judgment in the criminal proceeding, then the money will be returned to either the jurisdiction in which it was seized or to the State, if State authorities seized the money. Brian Bajew, Howard Kim, and Ian Konigsdorffer, Practicing pursuant to Rule 16 of the Rules Governing Admission to the Bar of Maryland – University of Maryland Francis King Carey School of Law (Summer 2014), edited by PLL. Updated by Devin Luqman, Esq.